My interest in handmade leather products started just about a year ago when I finished my summer internship. I had a nice chunk of savings and wanted to treat myself to a small gift. After thinking of what I could use, I decided on a new wallet. I found Popov leather after just a few minutes of googling and I was hooked. Ryan’s site was really an eye-opener for me- it helped me learn about all the pieces that make up quality leather and handmade wallets. It led me to purchasing my own card holder from them, and I absolutely love it to this day. 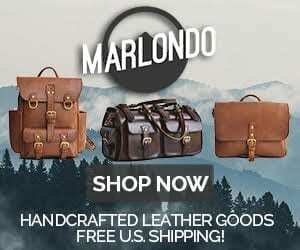 I would honestly encourage you to go through the site and watch some of his videos to learn more about leather products and how they’re made. For now, let’s talk about the Leather Card Holder in Driftwood. 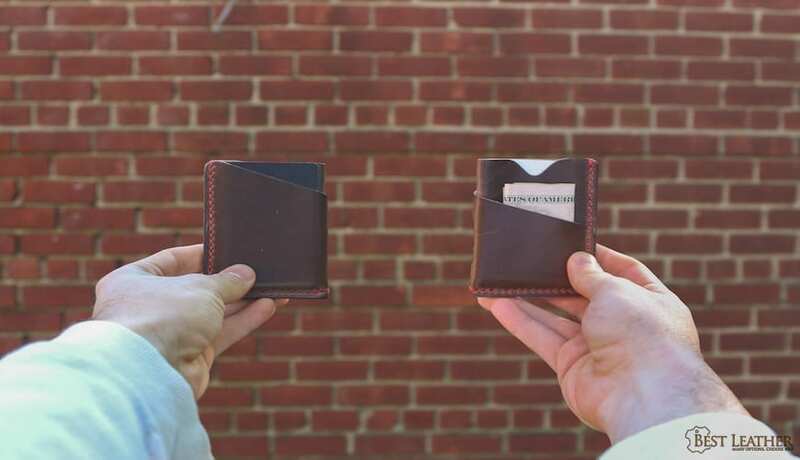 The card holder, like many others, is a vertical minimalist wallet with 3 pockets. The basic build is simple: two pieces of leather are cut out, folded over, and sewn shut. Great design often does the most with the least, and this card holder is no exception. But the truth is the devil is in the details here. All the wallets at Popov are hand sewn with Tiger Thread, forming a tight seal that will stand the test of time. 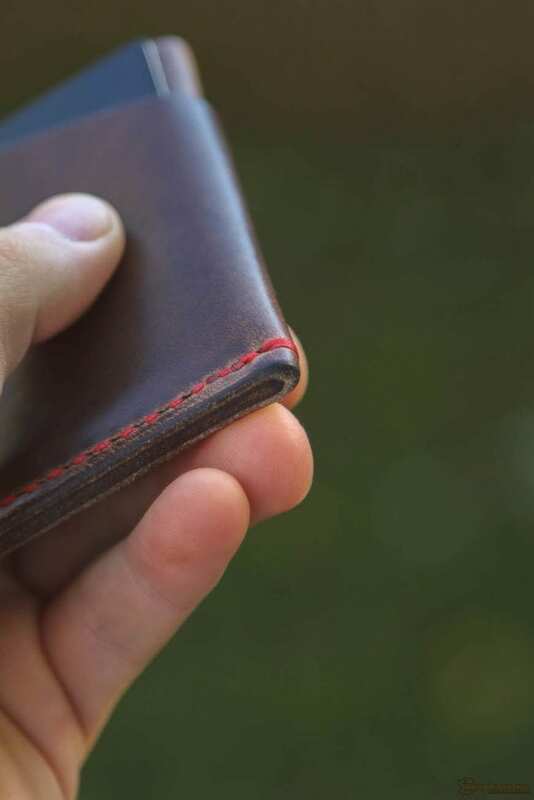 The leather they use for this product is Horween’s full-grain chromexcel, a durable hide which will give your wallet a great patina as you continue to use it. Finally, all the edges are burnished and polished to complete the look and feel. The driftwood color is almost like a light brown, so a pretty neutral tone that can go with almost anything. In the short time I’ve had it, however, the leather has already begun to darken quite a bit. It goes well with the red stitching version Ryan sent me, but there are plenty of styles between the leathers and threads to match your personal taste. I’ve been using the card holder for almost 4 weeks at this point, and I can faithfully say that it allows me to carry all the essentials. I keep four credit cards in the main pocket, which were admittedly tight in the beginning (allow some time for the leather to expand). My wallet usually has a few bills in the front part of the wrap-around, while my ID and registration sit in the back. If you’re already a minimalist wallet enthusiast, I would definitely recommend this piece. Everything I mentioned above is held tightly in the wallet- it takes some serious shaking to get cards to fall out. Since the whole wallet has an open design, removing items is always quick and easy. I’ll admit that this review is somewhat biased. Would you expect a completely honest review from a car enthusiast about the first car he got as an 18 year old kid? But here’s what you can know for certain: the Leather Card Holder from Popov leather is made with quality leather and stitching. It’s all put together and detailed by hand in their British Columbia shop. And at just $35, there are few comparable handmade products available at this price.